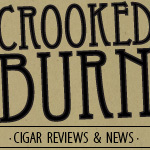 Today's cigar review is for the third installment of Smoke Inn's fifteenth anniversary celebration releases. A little background: Smoke Inn is a group of shops in Florida that commissioned some of today's top manufacturers to make special releases for their fifteenth year in business. 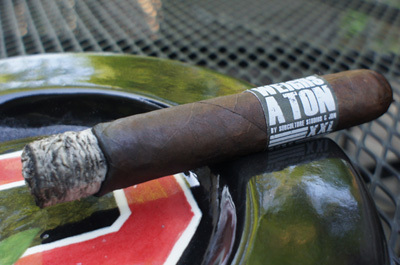 Last November we had the Tatuaje Anarchy (which I reviewed here) and, in April, the Padron SI-15 (which I reviewed here). 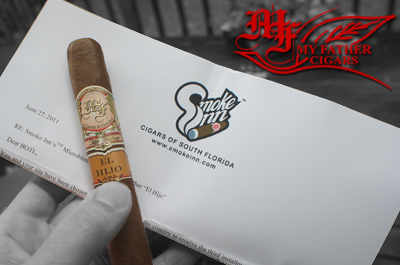 Now it's July and Abe (Owner of Smoke Inn) sent to me two of the next release -- 'the My Father El Hijo (translates to 'the son' in English). The My Father El Hijo is a slightly box pressed robusto with a small open brush foot. From what I am told, it's similar to the My Father blend used in the full line releases, but with a specially-selected wrapper. There were only 650 boxes of these little guys made, so I suggest if you want some to put in a pre-order on Smoke Inn's website very soon. 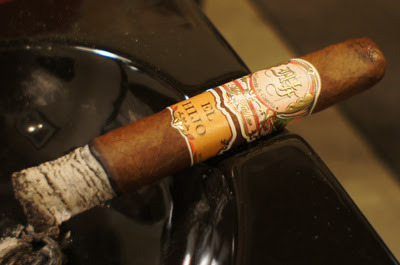 The My Father El Hijo is a beautiful looking cigar. The wrapper is a nice medium brown tone with minimal veins and a perfectly-hidden seam. 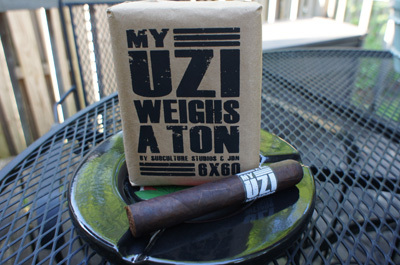 The slight box press reminds me of what Padron does to a lot of their cigars and it felt nice in my hand. 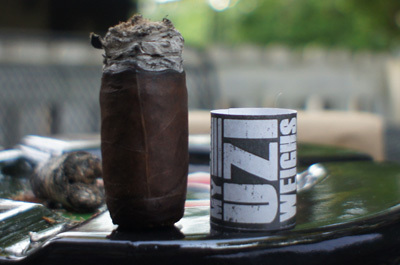 I know they left the foot of the cigar unfinished intentionally, so you can "get the taste of the blend without the wrapper", but with about an eighth of an inch unwrapped, how much of that is just going to burn off while lighting the cigar? It looks interesting though, so no harm, no foul. The pre-lit aroma was earthy and leathery. The cold draw tasted like cedar with a touch of spice. The wrapper had a great cold draw flavor that reminded me of dried fruit, or a citrus-y orange flavor. Very tasty. Lighting my My Father El Hijo was easy, and yes -- maybe I did get one or two puffs of the unfinished foot part of the cigar before hitting the wrapper. The flavors blasted out from the beginning were some classic Pepin spice (which was most dominate taste-wise on the roof of my mouth) mixed with a nice sweet cedar flavor on the finish. 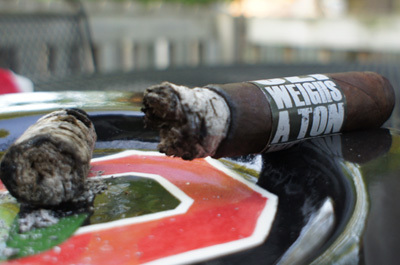 The spice and sweet played nicely with one other and had a perfect melting point where they met on the flavor profile. 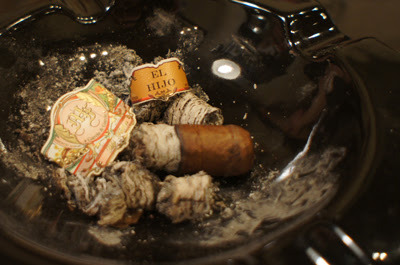 The cigar produced a lot of smoke with each draw and quickly filled the room where my smoking partner and I were sitting. The strength was in the medium to full range and was very relaxing. No construction problems and no burn issues at all. 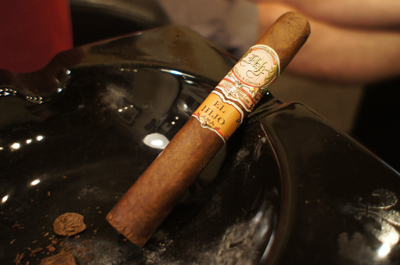 The second third of my My Father El Hijo was where the cigar, in my opinion, went from good to really great. The flavors took a switch up and the overall feel of the smoke got thick and slick smooth. There were still hints of the peppery spicy flavor I love (especially when mingling with my sinuses), but now the front end of the profile was dominated by a robust caramel flavor. My smoking partner described it to me as a Hershey's Rolos taste. Mixing along with this caramel taste was a sweet cedar, which seemed to pick up in strength on the finish. 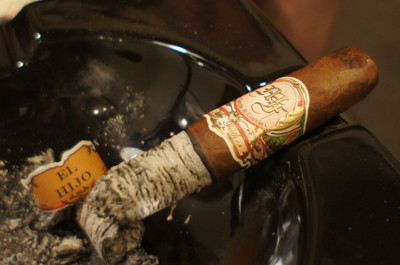 This was a fantastically delicious part of the cigar. I really felt like I was smoking a new classic. The strength of the cigar picked up slightly and reached more into the full range, but not enough to make me uncomfortable. The final third of my My Father El Hijo didn't have much more to report in contrast from the second third (for which I can gladly say that I was happy.) The flavors from the second third -- the spice, caramel, and cedar -- were all in perfect balance and tasted great. As I neared the nub, it started to heat up a bit so I put it down because I didn't want to ruin the great flavors I had going on. The strength stayed right about the same in the lower end of full, and the construction/burn was never anything to be worried about from start to finish. My final thoughts on the My Father El Hijo? This is the best release in the My Father line of cigars to date. I've smoked most of the releases in this line (including both years Limited Editions) and I think they all are sub-par to this one. The flavors in this stick were so strong, yet not overpowering, which made for a fantastic and enjoyable smoking experience. I would even go so far as to suggest making it the regular release blend, as Smoke Inn really has a winner on their hands here. Once these hit the market, I don't think they will last long. Would I buy it again? I will be buying more of this cigar. This is a stick that I could smoke on a weekly basis. I love the size, too. Great for just over an hour of smoking time. Would I buy a box? With the limited amount of these being made, I would hate to miss out on them. These are box-worthy.